Hyderabad-based business client, had lost data from laptop containing MacAfee encrypted Seagate hard drive with bad sectors. The 2.5” HDD has the storage capacity of 1 Terabyte. The company used to generate, process, and store emails and business files on the laptop. The kind of file that the company was expecting to regain was portable storage (.pst) files and company’s project-related data. The client could not access data from its end due to bad sectors and improper functioning of the hard drive. The client did not try to recover data from the hard drive on their own and had not approached any other data recovery service provider. 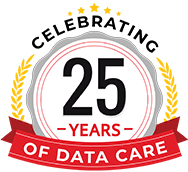 Instead, the company’s representative visited Stellar Data Recovery – Hyderabad branch to accomplish the data recovery task. Our Stellar Data Recovery – Hyderabad team received the hard drive from the client. The drive then underwent analysis for knowing the cause of data loss and implementation of tools and technology to recover lost data from Seagate hard drive. Initial analysis by our team highlighted the presence of bad sectors that resulted in slow access of the storage drive and corruption of some files. Even the client had encrypted the data present on the drive. Our team took the image of the hard drive by skipping bad sectors. To retrieve the data, they decrypted the drive by identifying the crypt sectors. After decryption, the team found that the Master Boot Record (MBR) of all partitions were also corrupt. 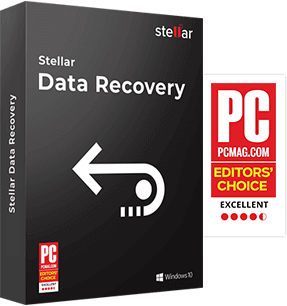 Using the proprietary Stellar Data Recovery tool, they recovered all the data without any noticeable loss. We then informed the client about the data recovery. A representative visit our Stellar Data Recovery – Hyderabad Service Center to verify the recovered .pst as well as project files. The client opened the .pst files on MS Outlook and found them perfect. Moreover, all the project files were working well. The client was satisfied with the recovered result and credited our team for excellent data recovery.